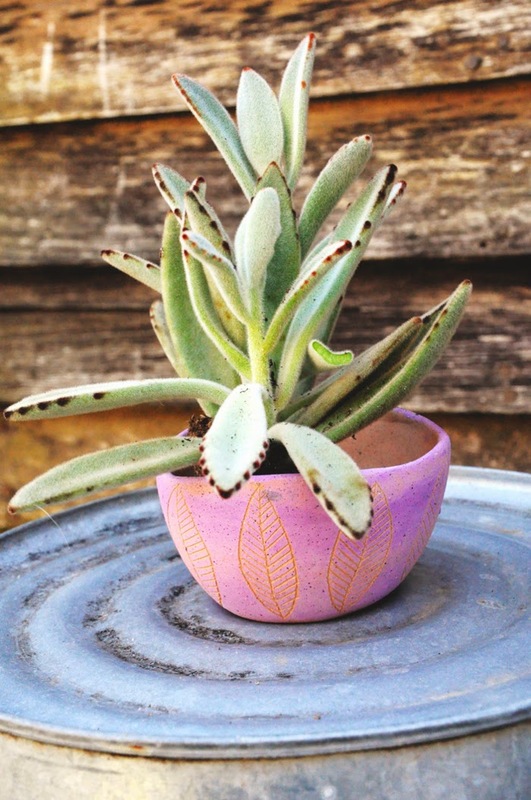 Breaking out of her normal black and white mold, potter, Samantha Carter of Half Light Honey Studio has created these wonderful new colourful planters for spring. 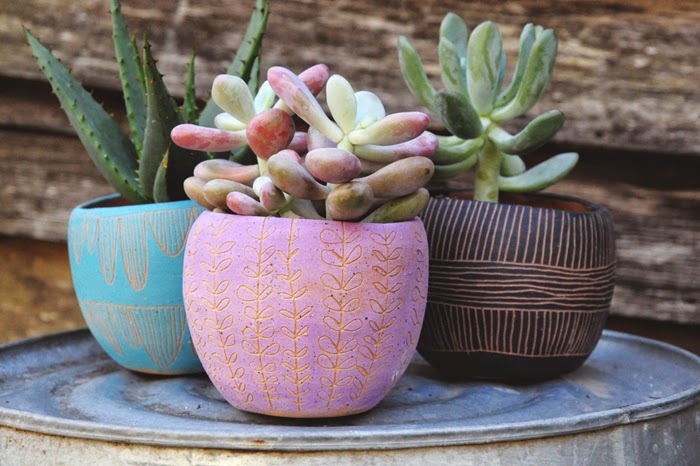 After this past winter Samantha tells us she was craving colour and made these gorgeous carved, sponge-printed, and hand-painted planters in a variety of designs with new clays. So fresh! Check out her online shop on Etsy or click on each image for more info. 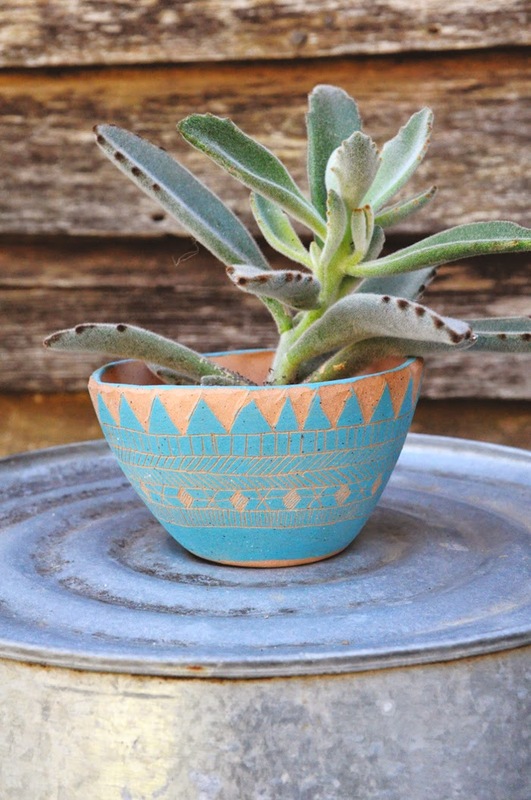 Cute planters, thanks for sharing! 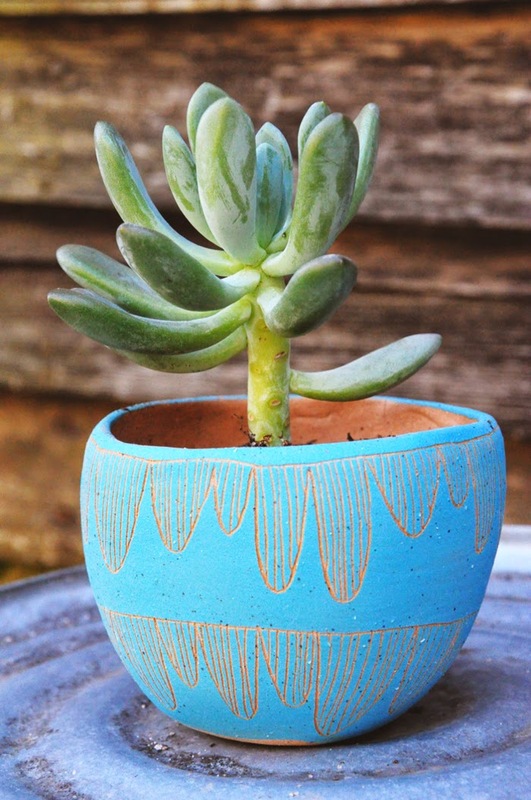 I've been finding a lot of inspiration for planters this spring but these are on of my favourites! oh wow they look fabulous clustered together! I could see these beautiful planters in the garden of our new house! Lovely! 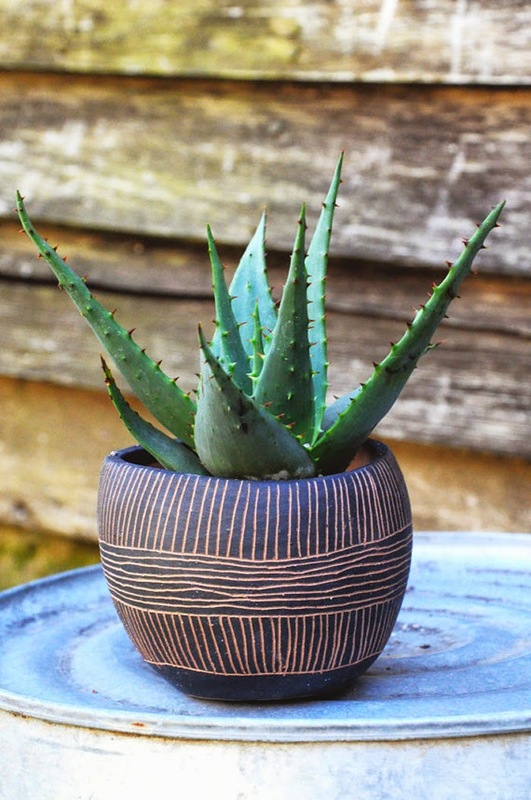 I'm always looking for unique pots for my succulents...these are perfect!